Last week I wrote about plastic free deodorant. I wrote that after several failed experiments, I settled for the Lush T’eo deodorant bar. However, I rather would use a more natural product. Although the Lush deodorant is plastic-free, its ingredient list is long and contains some items that I am not familiar with. It’s also quite pricey (8,60 euro). So… I decided to give DIY deodorant another shot and monitor closely what I like and dislike about it so that I can adjust the recipe to fit my body. The recipe I start with comes from Lindsay’s blog Treading My Own Path (highly recommended!). The list of ingredients is very short and simple: 2-3 tbsp coconut oil, 6 tbsp corn flour, and 1 tbsp baking soda. You can add essential oils, but I didn’t because I did not have time to buy any today. 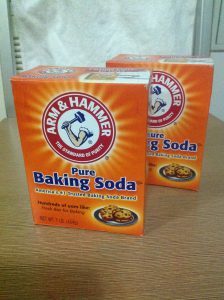 Baking soda: one of 3 ingredients. How to make the deodorant? Simply mix the corn flour with the baking soda. Melt the coconut oil. I put the coconut oil in a small jar, which I then placed in a bowl of hot water. After a few minutes, I added the coconut oil to the mix of corn flour and baking soda. 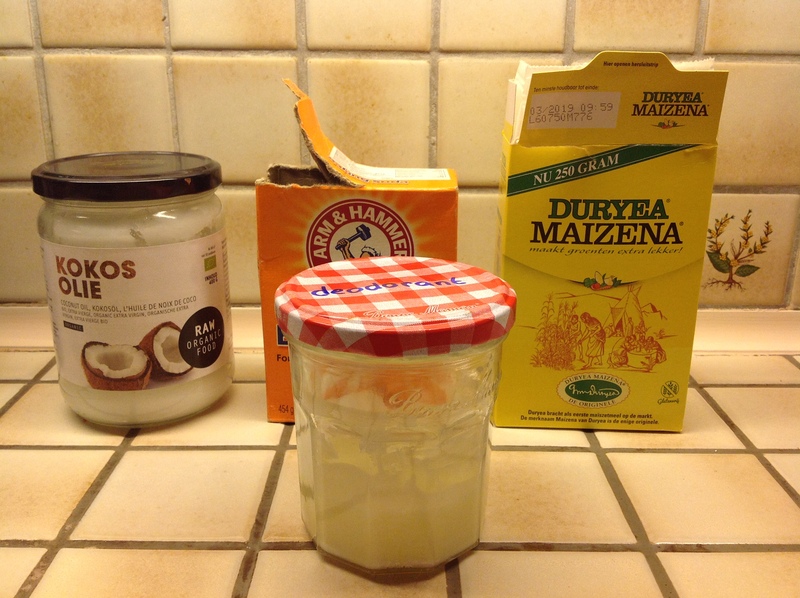 The result is a small jar of DIY, plastic-free deodorant! It is so simple. It takes just a couple of minutes to put it together. It’s fun! And it’s cheaper than the Lush deodorant. Tomorrow I will start using the product. Lindsay writes: “Apply a small amount with fingertips to underarms and rub in well.” I will write an update about this experiment in a few weeks. Have you tried to make your own plastic-free deodorant? What’s your favorite recipe? Plastic-Free Dairy Alternative: Sesame Seeds Milk! I have been using this deodorant for about 4 years, it is brilliant.